Ray has coached for 33 years at all levels of competitive swimming; USA Swimming, High School, Collegiate and summer league. 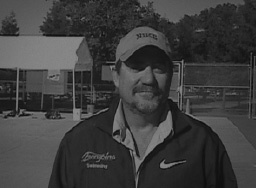 He formed the Terrapins Swim team in 1989 with Paul Stafford. Ray was the USA Swimming Developmental Coach of the Year for 1998, 1999 and 2003 and the Pacific Swimming Coach of the Year in 1998 and 2003. He is the only coach in the history of USA Swimming to be awarded the Developmental Coach of the Year 3 times. He has qualified more swimmers to the USA national Junior team than any other coach in US history. He has coached National Champions such as Kate Dwelley, Lauren Rogers, Laura Davis and Natalie Coughlin. His swimmers have qualified for USA Swimming National “A” and “B” teams, World Championships, Pan Am games, World University Games, Pan Pacific Games and Goodwill Games teams. Since 1989 his teams have racked up over 30 top ten finishes at the Junior and Senior National levels, winning National titles in 1997 and 2000.